Imprint Method: Silk-Screen - Everyone will want to get their hands on this Jute Box tote bag! 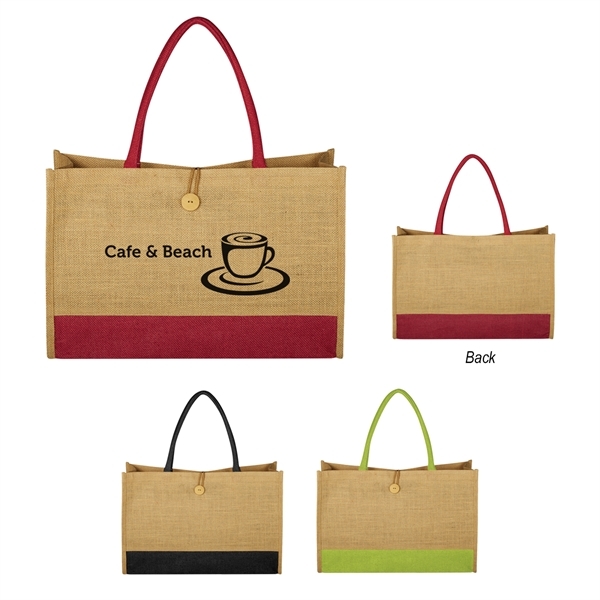 Made of 100% pure natural jute, a natural vegetable fiber, this bag features a top button loop closure, 20" cotton webbing handles and is 100% biodegradable. Available in multiple colors created with azo-free dye, this carry-all bag will proudly display your logo or company name. Great for brand-boosting, thig bag is a great gift at fundraising events, conferences, and more!